Metronomy in Montreal or Quebec City? Inform me about the next events for Metronomy. Enroll yourself to our priority waiting list for Metronomy to be alerted when new tickets are available. Filling this form doesn't engage you to any purchase. Metronomy is coming back to Montreal on April 1st, 2012. 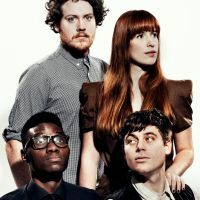 This time, Metronomy will perform at the Metropolis. The English electronic four-piece performed in Montreal last October, in front of a sell-out crowd at La SAT. Metronomy has 3 albums. The most recent one, The English Rivera, was launched in April of 2011. A 4-song remix EP will be released in early December.